M-M-M-Maybach Music!! 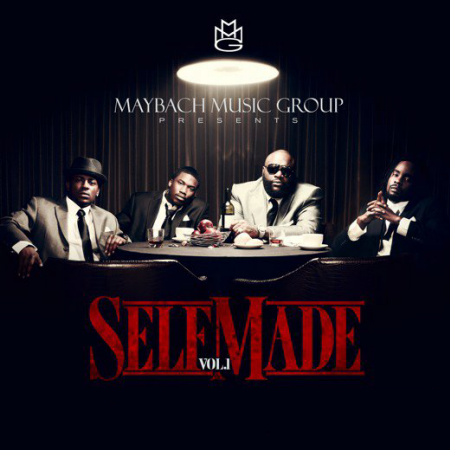 I just finished listening to Self Made: Volume 1 and this is some quality music. Each song sounded exactly like what you would expect from the MMG. They stuck to their style and delivered hit after hit after hit. I gotta say I expected there to be more Rozay verses than there were but it put more attention on the rest of the group and I think they needed that. There’s no doubt in my mind that Wale’s second album won’t tank like “Attention Deficit” (even though I loved it) and Meek Mill has had many opportunities to shine as a member of the XXL Freshman Class and MMG has helped him do that. I hadn’t even really heard much from Pill before the Self Made tracks started dropping but I liked what I heard. And Teedra Moses’ voice was made to be in this group. All in all, this album has earned itself its on playlist in my iTunes, a feat which only Kanye West and Lauryn Hill have obtained so far. This album is the type of album you bump at a party. I know I would. Each one goes hard in its own way. You can buy the album here. Enjoy.